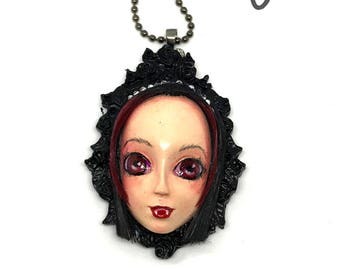 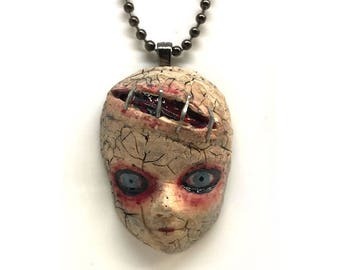 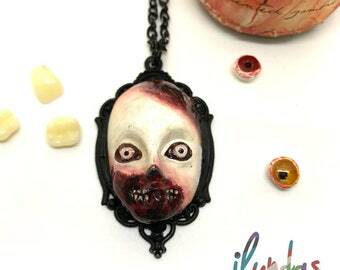 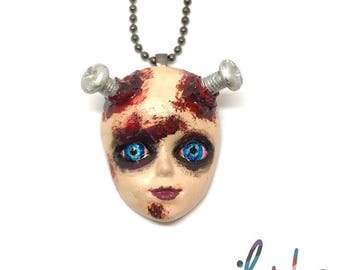 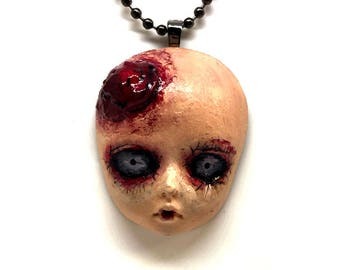 Handmade Spooky face pendant necklace. 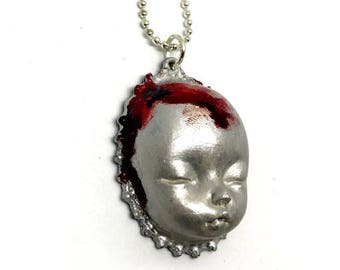 This item will be sent via registered post with tracking number. 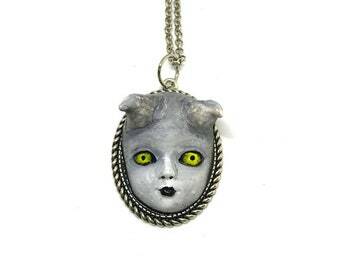 I make these pendants, by hand casting the resin face and the Setting. 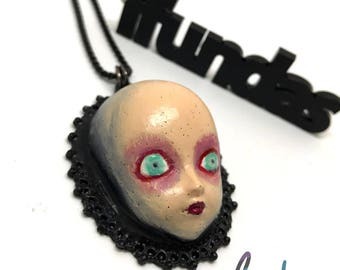 Both are then hand painted and varnished and the hair added. 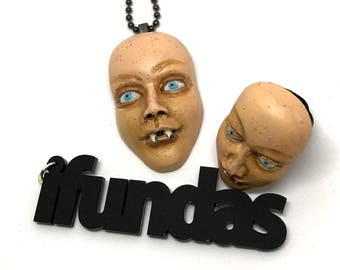 Each head is completely unique and there will never be 2 identical pieces. 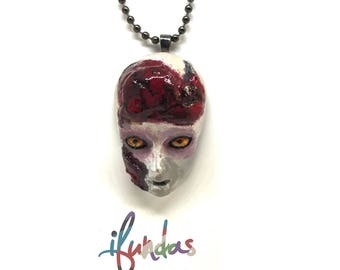 Each piece takes in total approximately 1-2 weeks to make, including curing, setting and drying times at each stage of the process. 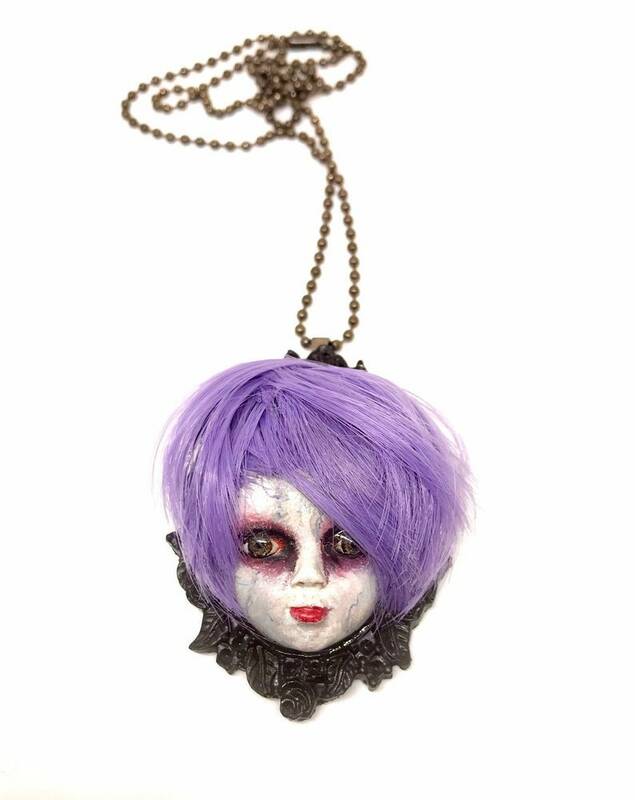 The handmade pendant is then hung on a 60cm nickle and lead free gunmetal ball chain chain and posted in a black gift box. 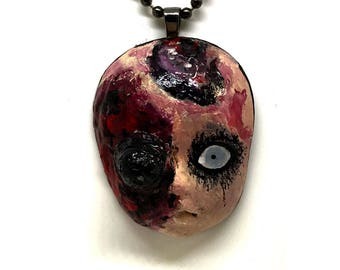 If you would prefer a black leather cord instead of the chain, leave me a note at check out.